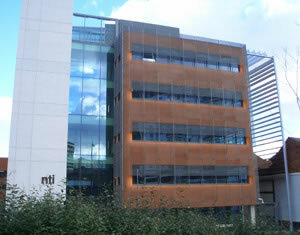 The New Technology Institute opened in 2005 as part of the Birmingham School of Media and is housed within the University’s faculty of Arts, Design and Media. In this vibrant context, you’ll enjoy the benefits of outstanding resources, at the heart of a thriving creative community in our City Centre campus. You’ll follow employment-led programmes so your knowledge and skills will be up to date and as relevant as possible, making you industry ready upon your graduation. Your teaching staff are from industry backgrounds and fully qualified Higher Education lecturers. We also collaborate with our industry partners and professional practitioners to give students up-to-the-moment insight into the latest trends, emerging technologies and opportunities for continuing professional development. Our teaching philosophy is practice-led and theory applied in the pursuit of excellence. The winter and spring semesters are based around lectures and workshops whilst the summer semesters are about making and doing real projects to deliver tangible assets to clients. In this way, students develop proven skills in portfolios of work and expertise in best practice methodologies. It’s this combination of proficiencies that sets our two-year fast track degrees apart from more traditional three-year programmes. In early 2010, NTI Birmingham (primarily a leading professional media training facility at this time) merged with the Digbeth-based production house Screen Media Lab. Screen Media Lab was Digital Agency set up in the early 2000's to produce websites, apps and video solutions to clients. In 2011, NTI Birmingham's web design, development and video services were integrated into the University's IT department, with NTI Birmingham shifting its focus to running accredited Adobe and Apple short courses and growing suite of postgraduate training courses, such as Gamer Camp, Future Media and Film Distribution and Marketing. In 2014, based on the huge success of the practice-based postgraduate courses in video game development, digital marketing and film business, NTI launched a suite of two year degree programmes. These course were also very successful and subsequent growth led to NTI moving into new expanded facilities in January 2018. NTI now runs a range of two-year undergraduate programmes covering; digital marketing, film business, video game programming, art, design and production.